It is open to all postgraduate students, undergraduate students, researchers and academic staff. Who should do an oral presemtation? It is open to all postgraduate students, final year project students. 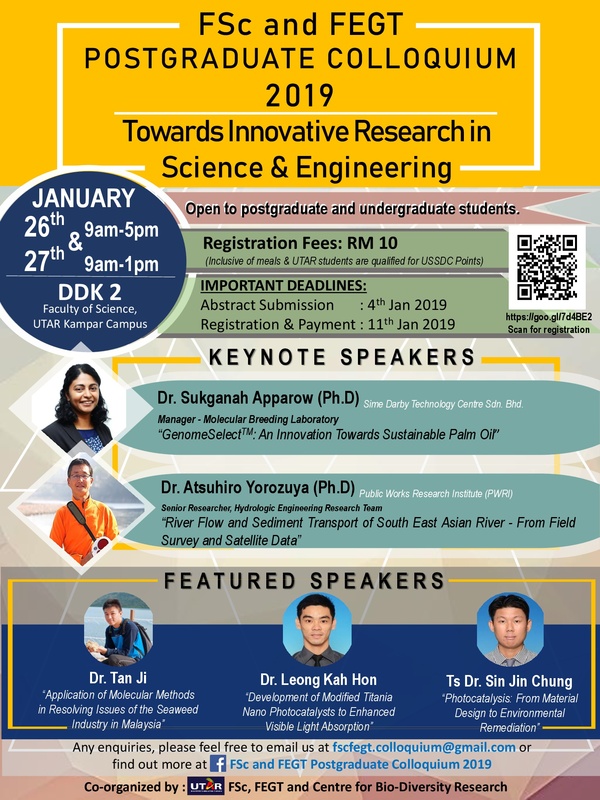 This FSc and FEGT Postgraduate Colloquium 2019 is set to be a multidisciplinary research colloquium that draws quality research primarily from UTAR postgraduates on a wide variety of important scientific subjects. 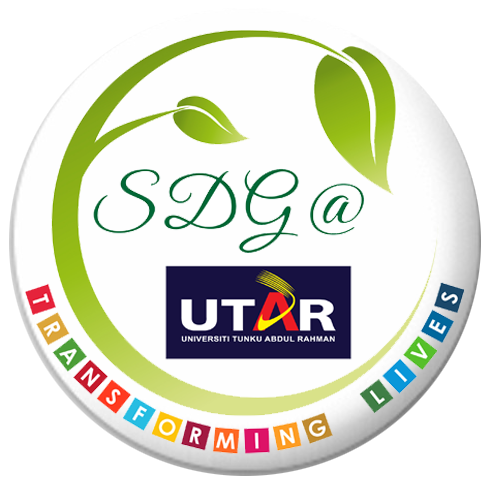 It aims to serve as an academic platform for researchers to present their latest research findings attained in all aspects of science and engineering as a whole to encourage substantive knowledge transfer. Furthermore, UTAR undergraduate students are given an opportunity to have a better overview and understanding of the UTAR postgraduate programme, thus developing and strengthening a community of future scientists that will help drive the advancement of science. Topic: "GenomeSelectTM: An Innovation Towards Sustainable Palm Oil"
Dr. Atsuhiro Yorozuya (Public Works Research Institute (PWR)).